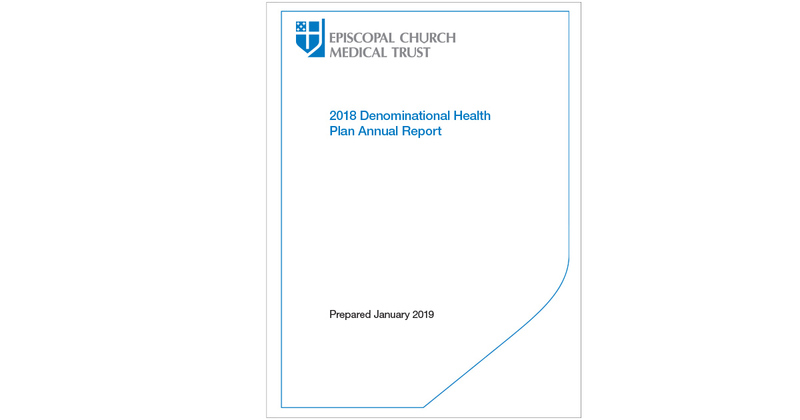 The Church Pension Group (CPG), a financial services organization that serves the Episcopal Church, recently released The Episcopal Church Medical Trust (Medical Trust) 2018 Denominational Health Plan (DHP) Annual Report, available in English and Spanish at www.cpg.org/DHP. The DHP, established in July 2009 by the General Convention of the Episcopal Church through Resolution 2009-A177 and its associated canon, continues to help domestic dioceses, parishes, and other institutions subject to the authority of the Episcopal Church control the rising costs of healthcare. The 2018 Annual Report summarizes recent developments with the DHP. The Church Pension Fund (CPF) is a financial services organization that serves the Episcopal Church. CPF and its affiliated companies, collectively the Church Pension Group (CPG), provide retirement, health, life insurance, and related benefits for its clergy and lay employees. CPG also serves the Episcopal Church by providing property and casualty insurance as well as book and music publishing, including the official worship materials of the Episcopal Church. For more information, visit www.cpg.org and follow us on Facebook, Twitter, and LinkedIn.